Colour Connection. A beautiful range of embellishments in vibrant colour ways. 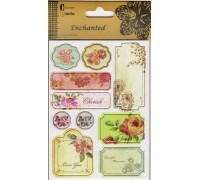 Enchanted Chipboard Stickers. 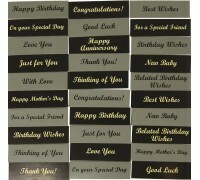 2 sheets, 2 designs, each sheet 12cm x 16.5cm. 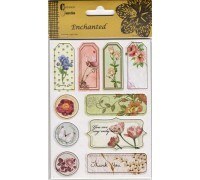 RRP £3.99 ..
Enchanted Chipboard Stickers. 2 sheets, 2 designs. 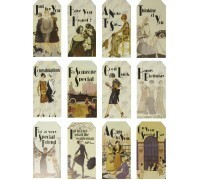 Each sheets 12cm x 16.5cm. RRP £ 3.99 .. 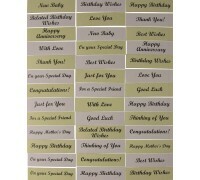 Printed Tags, 12 pcs per Pack. 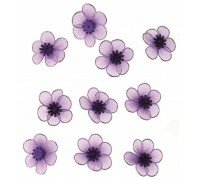 RRP £2.99 ..
Gatsby Acetate Flowers Stickers, 2 sheets per pack. 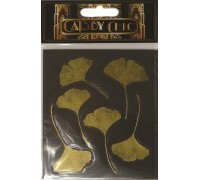 RRP £2.99 ..
Gatsby Gold Foil Border, 7 x 31cm borders per pack. 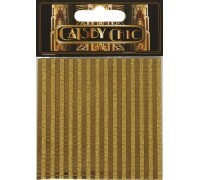 RRP £2.99 ..
Gatsby Gold Mosaic sheet. 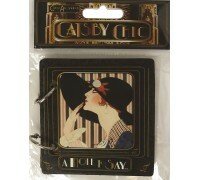 Self adhesive, 8.5cm x 8.5cm.RRP £2.49 ..
Gatsby Mini Notebook Album. 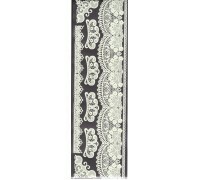 RRP £3.29 ..
Enchanted Lace Rub Ons, 2 sheets 2 designs. Each Sheet 9cm x 30cm. 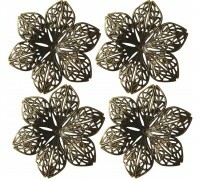 RRP £2.99 ..
Enchanted Metal Flowers. 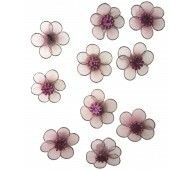 Each flower 4.5cm diameter, 4pcs per pack. RRP £ 2.49 ..